Enjoy the vibrancy of Silver Spring public art with free artwork tours scheduled to take place on select Thursday evenings during spring and summer 2019. The opening event features an insider’s look at treasured Silver Spring murals. It will take place on Thursday, April 18 from 5:30 to 8:00 p.m. 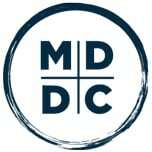 The Silver Spring Regional Services Center, Silver Spring Arts and Entertainment District, Silver Spring Urban District, and Montgomery Planning office organized the events to connect residents and visitors to the exceptional artwork in downtown Silver Spring. The evening will begin at TTT-Tacos, Tortas & Tequila located at 8407 Ramsey Ave. in Silver Spring. There will be a discussion by the General Manager of the mural Neo Indigenous, created by New York graffiti artist and Mexican native Marka27. The mural is a private work of art commissioned by TTT owner Ivan Iricanin. Next stop on the art walk will be Silver Spring’s most beloved artwork, Penguin Rush Hour, by artist Sallie Calmer at the Silver Spring Transit Center. The painted mural was restored by the Silver Spring Urban District and transferred by the Montgomery County government onto a new more permanent medium before reinstallation at the transit center. 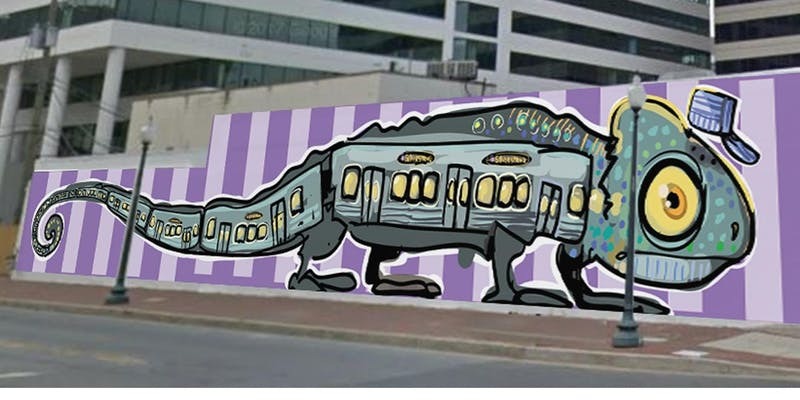 Third stop on the art walk is Silver Spring’s newest artwork, Traincarmachameleon, which we will show the progression of the installation and feature a discussion with artist Goodloe Byron, who will explain the behind-the-scenes process of creating this mural. This new public art installation project was a public-private collaboration between the Silver Spring Urban District, Silver Spring Arts and Entertainment District, and Washington Property Company. The face of this mural will front onto a new residential building on Georgia Ave. and the new public transit/light rail Purple Line. The art walk will continue with two additional mural stops in Fenton Village along the Georgia Avenue corridor. Discussions will include information about the history of the artworks, the impact of public art on community revitalization and the technical differences between painted murals and other genres of public art. Montgomery Planning will provide appetizers for attendees. Drinks and main entrees are available for individual purchase. The art walk is free to the community; however, registration is limited to make the tour enjoyable for all participants. 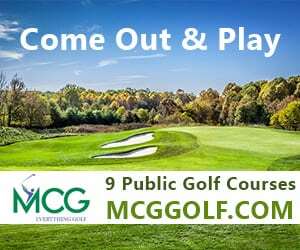 Visit the Visit Montgomery Events Calendar to learn more. Events will be held rain or shine.